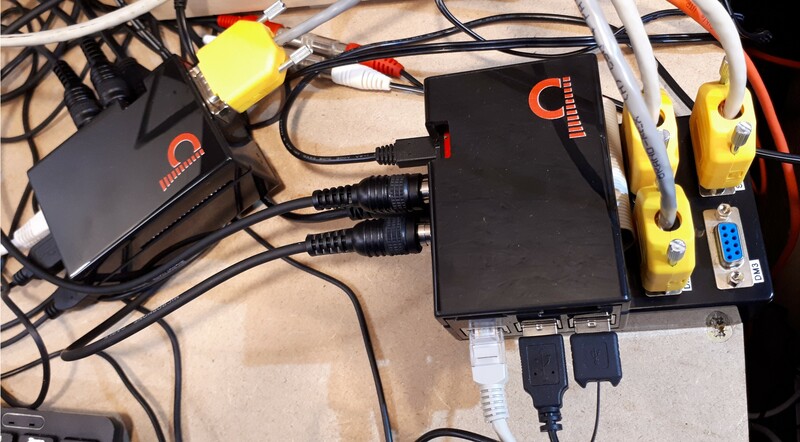 This project is the culmination of the three earlier sequencing projects, Maplin 3800 synthersiser (SYN), E&MM Syntom Trigger (DT) and the Sampled Sound Drum Machine (DM). The DT and DM could individually trigger the SYN but not each other so a trigger method was required to keep all the sequencers in step. I looked into writing a control panel program that allowed the individual or grouped start/stop tempo up/down and displayed whether each machine was playing or stopped, it also diplayed the tempo by flashing a roundle. Although it all worked the Raspberry Pi struggled when applying the tk graphics. It became clear that it would be cleaner and easier to have one machine to trigger all the others. 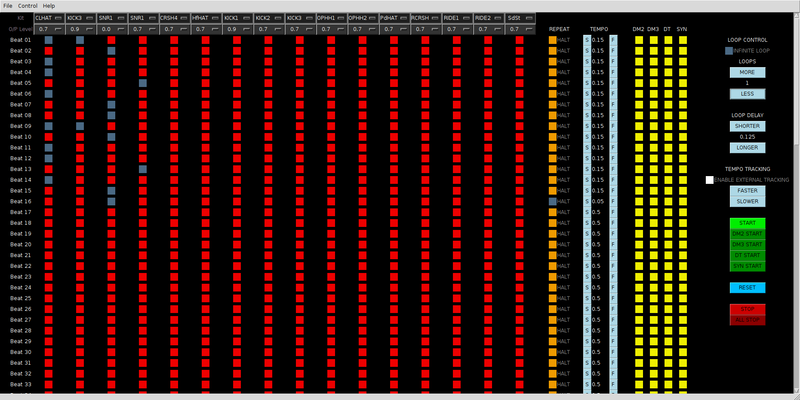 I re-wrote the Sampled Drum Machine to trigger up to four sequencers, a total of five machines including itself. Each program of the earlier sequencer programs have been modified so the control inputs are in the correct direction, DM1 becomes the control machine (outputs) and DM2, DM3, DT1 and SYN become controlled (inputs). I considered building all this into a single case to keep everything tidy but ultimately it is better to have it modular so you can add to it whenever an idea come along..such as, adding a Pi with different samples..
A short video showing the synchronised Drum Machines and Sequencers..
RPi Drum Machine(s) Script and wiring details. 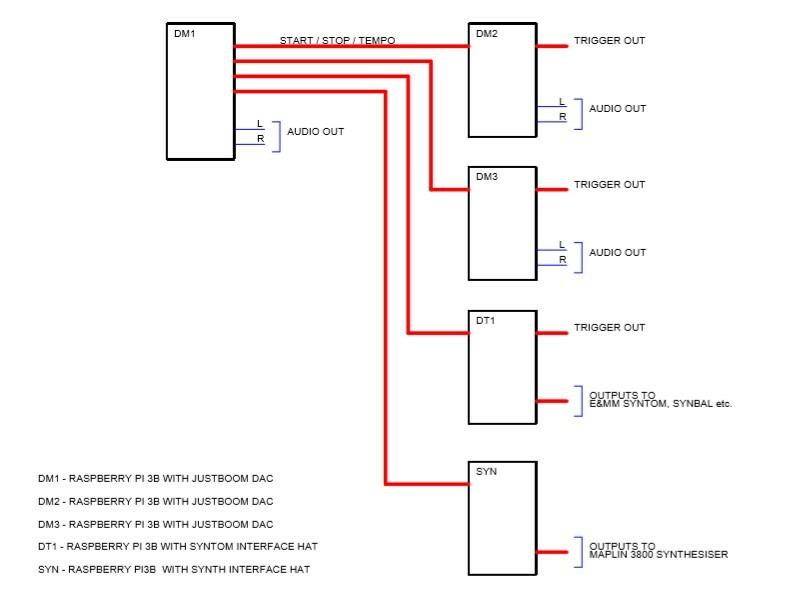 RPi Drum Machine(s) Script and wiring details - refresh!.